While returning from the Chharidhandh we found small pond on way. Where we see the many duck, flamingo and waders. 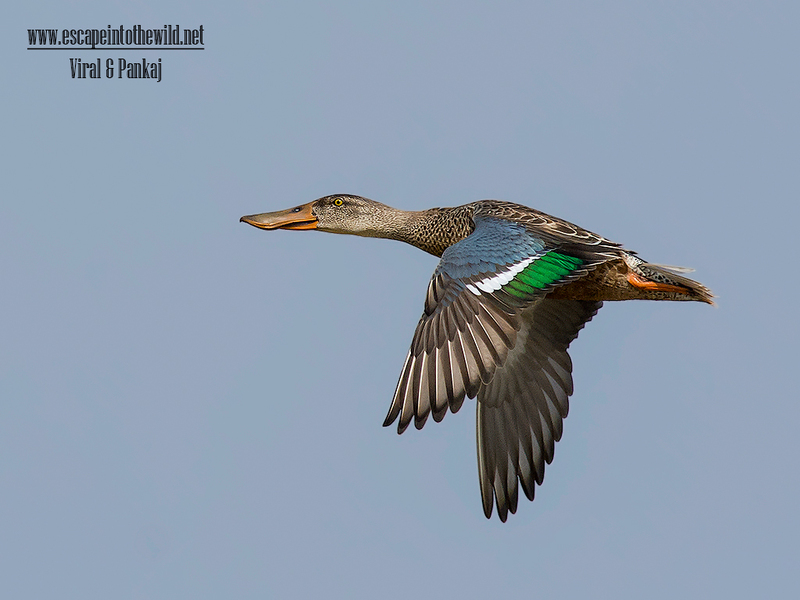 Due to our presence group of Northern Shoveler took flight. They have very beautiful blue, white and green colors speculum.